Challenge oil aeration with innovative testing. Keeping an eye on your oil for you. At all times. Thank you for choosing flucon! Accurate instruments for fluid experts. Your fluids. Our challenge. Your success. Welcome to our homepage. Inform yourself about our products and services and get an impression of our company. Please do not hesitate to contact us in case of queries or for further information. We are looking forward to your inquiry! Find more information about flucon's measuring instruments. 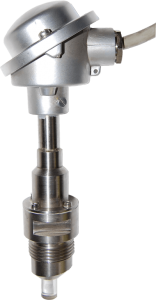 Read about the viscosimeter QVis, our oil performance monitor LUBRICON, our aearation sensor CGS or about our thermal conductivity measuring system LAMBDA. Or learn more about our latest developments: FOAM and EPSILON+. We analyze your fluid sample. Various fluid characteristics, such as viscosity, density, compressibility, velocity of sound, relative permittivity, thermal conductivity or thermal capacity, are being determined as a function of temperature and/or pressure in our flucon laboratory. Furthermore, we offer advisory services for any challenge concerning fluids and their characteristics.